MMOs are very command-intensive, and there’s a lot the Fragpedal can do to help out. 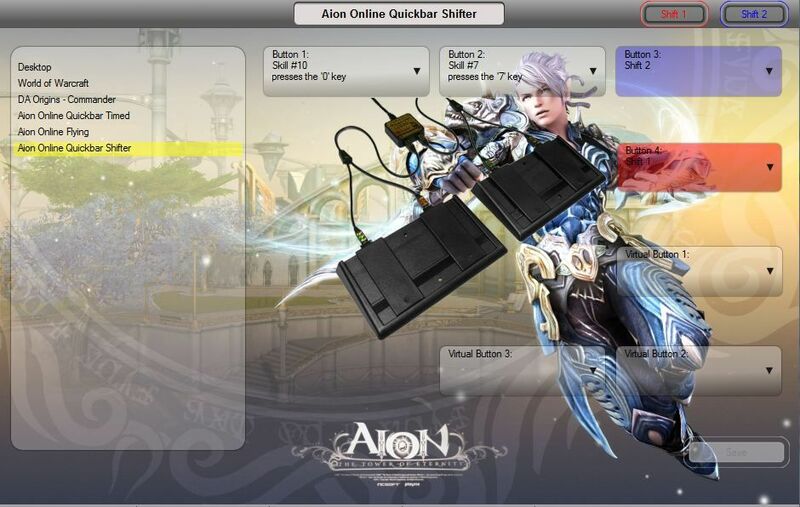 We are working on adding support for a variety of MMOs, so let Aion Online be the first! 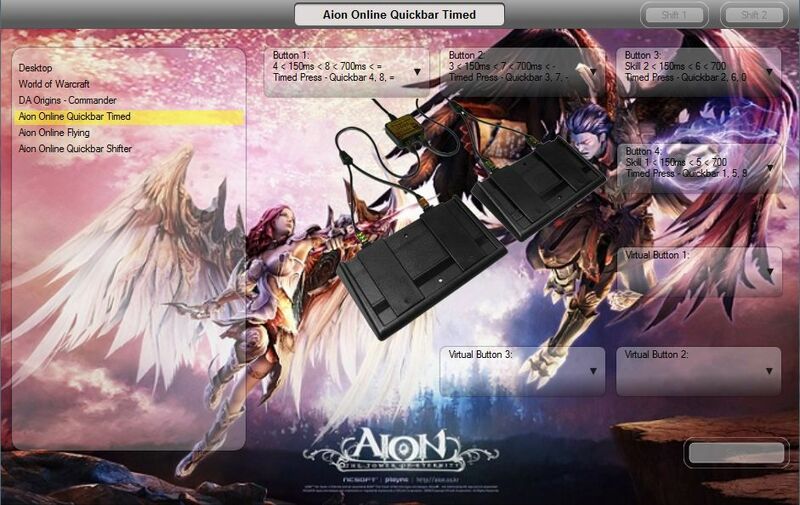 Let’s see some Aion Online macros. Flying controls add an extra layer of commands for the user to execute successfully. 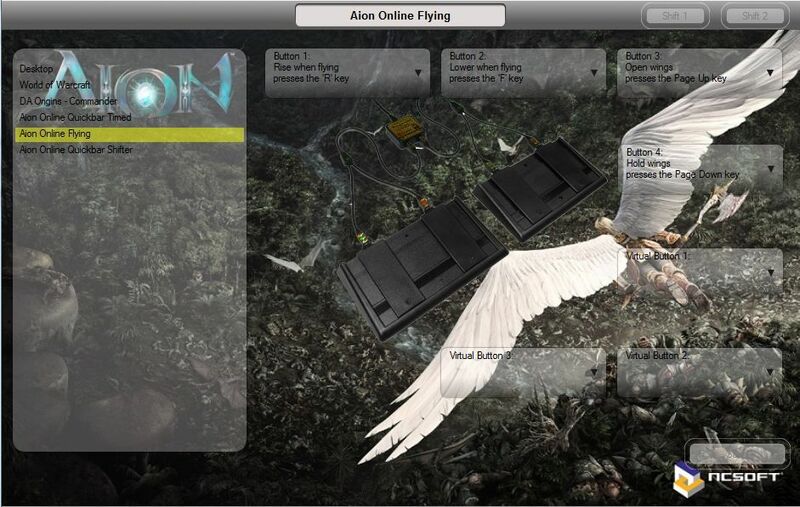 Here is the Flying profile for Aion Online. This is a simple configuration, where the left foot raises and lowers your character, and the right foot opens and holds wings. This configuration enables you to access 6 quickbar skills easily with your feet. The pedals on the left foot trigger different shift levels. Timed Press buttons appear in a lot of game configurations, mainly because they’re just so darn useful. This set-up makes use of triple tap/press/hold buttons to access all 12 quickbar skills with your 4 Fragpedal Quad buttons. If the buttons are clicked for less than 250 milliseconds, the first function will fire. If they are held down between 250ms and 700ms, the second action will execute. Once the button is held for 700ms, the third function will execute. Never have to lift a finger away from your mouse and essential keyboard controls again!